There are dozens of beta blockers, calcium antagonists, and several drugs used against athlete's foot. For the vital indication of resuscitation however, only one drug is approved as standard: adrenaline - and even for this agent with a monopoly, the data situation is pretty poor. Adrenaline is no better than placebo? What should the ideal resuscitation medication do? It should specifically narrow the peripheral vessels. It should increase the ejection fraction of the heart during mechanical chest compressions significantly. It should be easily controllable, but also act long enough. It should not provoke arrhythmias. It should definitely not increase oxygen demand. Effectiveness should be sufficiently proven. Adrenalin, however, meets only requirement number 2! 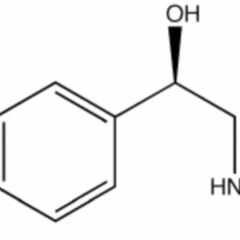 Adrenalin works agonistically in a hormonally-effective manner on adrenergic α-and β-receptors. The heart is overwhelmed by the number of β1-receptors, the stimulation of which leads to an increase in conduction and contraction force in all areas of the heart. The effect on the vessels are mainly restricted to the arterioles. Since adrenaline acts on both α-as well as β-receptors, the effect varies according to anatomical region. With resuscitation, the effect of adrenaline is based mainly on an increase in coronary perfusion pressure. 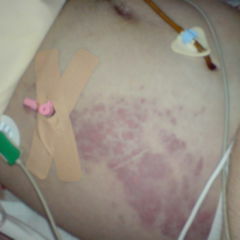 The stimulation of the α-receptors and associated vasoconstriction is predominant in the early phase of resuscitation. For cerebral perfusion, tonus increase is the decisive factor in the large intrathoracic arterial vessels. A positive inotropic effect is caused by the excitation of the β-receptors, which complements alpha stimulation after spontaneous circulation has been established. Cardiovascular capacity, heart rate and blood pressure rise, as does also the demand for oxygen! This is probably the reason why the number of secondary survivors is so low. Adrenaline is the drug of second choice for cardiogenic shock. Since plasma concentrations are totally unreliable with endotracheal application and equipment for intraosseous injection is available, according to the current ERC guidelines endotracheal application is no longer recommended. New studies on adrenaline are rare, expired patents mostly prevent sponsorship of the industry. In 2009 a randomised study was carried out by Olasveengen et al. on emergency patients. Half of the 851 patients at first received neither an intravenous line nor adrenaline. The primary endpoint of the Swedish study was the proportion of patients who would later be discharged alive from the hospital. 9.2 percent of patients without intravenous lines and 10.5 percent of patients with an intravenous line, of which 79 percent were treated with adrenaline, left the hospital alive. “Intravenous access and administration of adrenaline as currently required in the guidelines in a randomised study did indeed increase the proportion of patients who reached the clinic with spontaneous circulation after having been resuscitated out of a state of cardiac arrest. Nonetheless the chances of survival in the hospital and during the first year after that did not improve significantly”, was the conclusion of the study authors. A Japanese study published in 2012 by Hagihara et al. also arrives at frustrating results. This prospective study examined the outcomes for 417,188 patients who had suffered a cardial arrest when not in hospital and were treated with adrenaline. Although catecholamine does frequently lead to spontaneous circulation before arrival at the hospital, the chances of survival worsen, as do cognitive and neurological functions, even happening less than a month after the event. The authors suggest that impaired microcirculation and a potential cardiac proarrhythmogenic effect of adrenaline are the basis for this paradoxical reaction. Vasopressin as a beacon of hope? In one study made of the chance of survival after a cardiovascular arrest, new basic hormonal reactions were ascertained: For patients requiring resuscitation, circulating endogenous vasopressin is greatly elevated. Furthermore, vasopressin levels were higher in survivors than in patients who were not able to be successfully resuscitated. These results indicated that vasopressin could be an important endogenous factor in order to achieve the improvement of blood pressure via endogenous release of adrenaline, noradrenaline and angiotensin II. In an animal study (V. Wenzel et al.) using varying dosage of vasopressin, significantly better blood flow to vital organs was able to be achieved than with high-dose adrenaline. Vasopressin increases cerebral blood flow more strongly than adrenaline, something which has a positive effect on the metabolism of the brain. 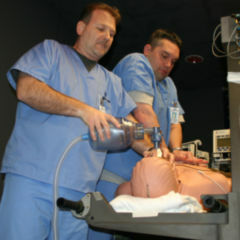 The newspaper DIE ZEIT gave the title in 2008 to an article “The Miracle of Innsbruck” wherein it described the research by anaesthesiologist Prof. Volker Wenzel and his former boss, Prof. Karl Lindner. 12 of 257 patients survived their cardiac arrest using vasopressin administration, with the administration of adrenalin there were only 4 of the 262. Unfortunately, the price of survival was sometimes high, about 40 percent of patients in the study using vasopressin who were able to be successfully resuscitated had acquired such a strong degree of brain damage that they no longer emerged from a coma. This argument is also championed by vasopressin critics. As well as that, they also add the fact that about two percent of the survivors survived with mental retardation. What was however happily forgotten was that this also happens with adrenaline with the same frequency. The chance of survival with vasopressin compared to adrenaline is higher by 40 percent. In early January Kevin McIntyre, a cardiologist at Harvard Medical School, in the editorial of the prestigious journal New England Journal of Medicine (NEJM) called for the immediate introduction of vasopressin use. The New York Times, the Wall Street Journal and many other media celebrated the medical experts from Germany. Is asystole now curable? After 1,219 log sheets had been delivered, the study had to be stopped prematurely in 2003. Politicians, the pharmaceutical industry, other researchers – many were critical of the project. Vasorpressin had to be procured from abroad, it was not permitted for resuscitation; the manufacturer later cancelled the cooperative project. Progress seems undesirable. The amount of data was sufficient for an evaluation. A year later, on 8 January 2004, the study was published. At first glance of course there exists ambivalence: a patient with asystole can not make any decisions, speak or give his or her signature; he or she forcibly becomes the subject of science. Is this ethically acceptable? The other viewpoint is no less unethical: without placebo-controlled studies, or at least studies done in comparison to adrenaline, there exists only one medication, whose efficacy is not fully proven. Three prospective clinical trials and a meta-analysis were able to find no difference in patient outcome (ROSC, Hospital Discharge, Neurological Outcome) with regard to vasopressin vs. adrenaline as the first vasopressor in an instance of CPR. 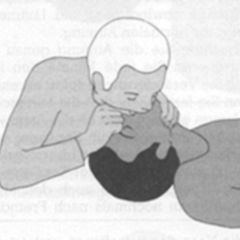 There is no alternative vasopressor which in comparison to adrenaline provides an advantage in CPR. The number of asystole patients who can primarily be successfully resuscitated by emergency services has increased in recent years, the number of those who are still alive after a year is virtually stagnant. To ensure that new drugs for resuscitation are developed, studies are necessary. These are not permitted to be carried out, as every Ethics Committee would most likely be forced to veto. Prospects of an improved picture are not in sight ….